Parent/Guardian hereby enrolls child/children at RENdancE Academy, Inc. for dance instruction and agrees to the NONREFUNDABLE registration fee of $25.00 for one child, $45 for two children and $70 for three children that is due at the time of registration from 4/1-9/30/18. The NONREFUNDABLE fee increases to $30.00 for one, $50.00 for two and $75.00 for three on 10/1/18. Tuition at RENdancE Academy, Inc. is based on a 10 month calendar, beginning August 6, 2018 and ending May 2019. Tuition can be paid monthly or in full at time of registration. There is a 10% discount offered for any student/family that pays all 10 months tuition by September 1st, 2017. 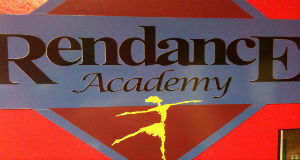 RENdancE Academy, Inc. determines tuition by total amount of time that your dancer takes each week. The sibling discount of 10% is taken off the total amount of monthly tuition. I, the undersigned, acknowledge that I have read the guidelines for the desired class and I/my child agree to abide by them. I also understand that is it my responsibility to safeguard my/my child's personal property and I will not hold RENdancE Academy, Inc., officers, nor employees liable in damages for any loss of or damage to personal property during my/my child's participation in the class associated with RENdancE Academy, Inc. and/or its instructors. I recognize and understand the special risks of physical injury inherent in dance/movement training and I willingly assume those risks. I certify that I will not hold RENdancE Academy, Inc., officers, nor employees liable for injuries sustained by me/my child during my/my child's participation in dance/movement training. Guardian will be solely responsible for all accidents and injuries to my child while on the premises of the studio. RENdancE Academy, Inc., its officers, and employees are not responsible for students who choose not to attend class after being dropped off, or who choose to leave the studio proceeding, during, or following scheduled class(es). Parent/Guardian agrees that child/children may be photographed or videoed during, but not limited to: performances, classes, studio events, etc. These may be used for advertising, RENdancE Academy, Inc.'s social media (Facebook, twitter, remind 101, instagram, RENdancE app), newsletter, newspaper, webpage or inside the studio. Parent/Guardian has been informed that email/website/Remind 101, social media and the RENdancE App are the main forms we use for communication. We also provide a printed copy of the monthly newsletters. It is the Parent/Guardian's responsibility to ensure we have an updated email address and/or to check the website to stay informed. Parent/Guardian has read and understands RENdancE Academy, Inc.'s registration information and agrees to all required fees and deadlines. Parent/Guardian understands tuition is due by the 1st of every month and understands the penalty for delinquent payment. Parent/Guardian understands and will abide to RENdancE Academy, Inc.'s withdrawal procedures and class requirements.